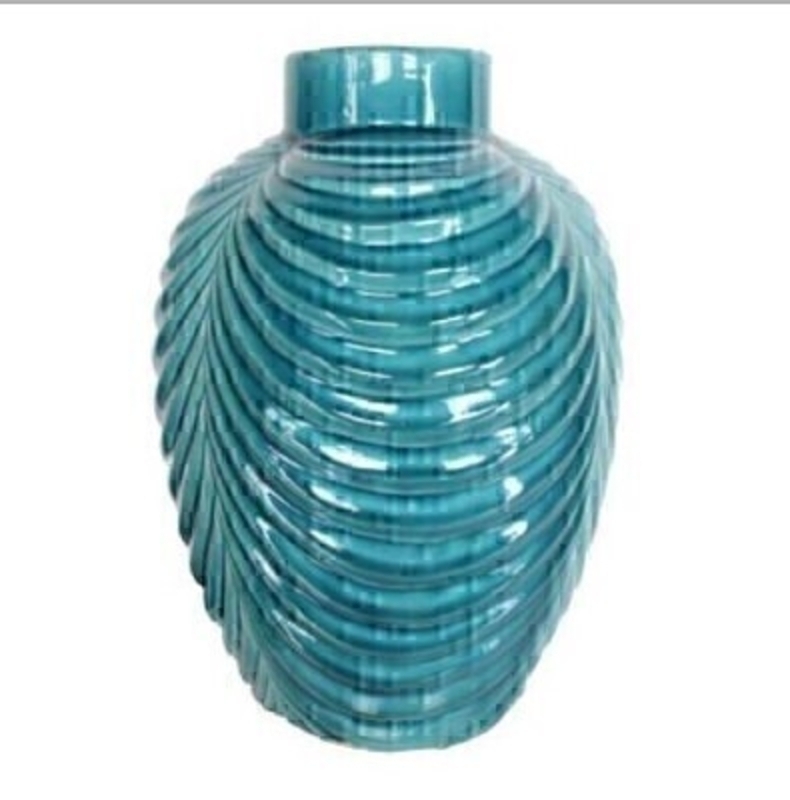 Art Deco style teal ceramic ribbed vase with a curvaceous shape. This bright gloss vase is a statement piece all homes deserve. Size (LxWxD) 21.5cm x 21.5cm x 29.5cm.